Steps To Move Files into an untracked directory. 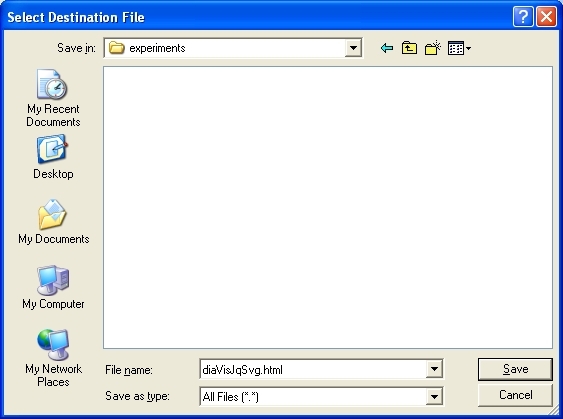 R-click on file. Select tortoisehg/rename. In the Rename dialog select the destination file name and Ctl-C to copy it for future use. Click browse and select the destination directory; then do Ctl-v to append the previously copied name into the Filename of the browse dialog; then click Save. 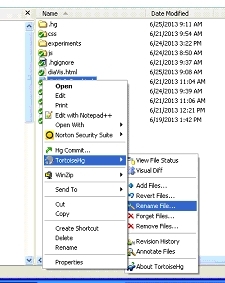 Back in the TortoiseHg Rename dialog click the Rename button. NOTE: if you want to copy instead of move check the “Copy Source -> Destination” box.